200 people gathered in Leeds on 31 March for the second annual Trans Pride event. This year also marked the tenth anniversary of Trans Day of Visibility. There was a clear mood for action on the march to defend trans rights. 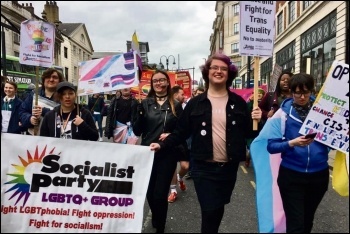 The Socialist Party pointed out that the Tories, embroiled in infighting, are kicking reform of the Gender Recognition Act down the street. And that cuts to public services, including gender clinics and mental health services, affect the day-to-day lives of trans people. 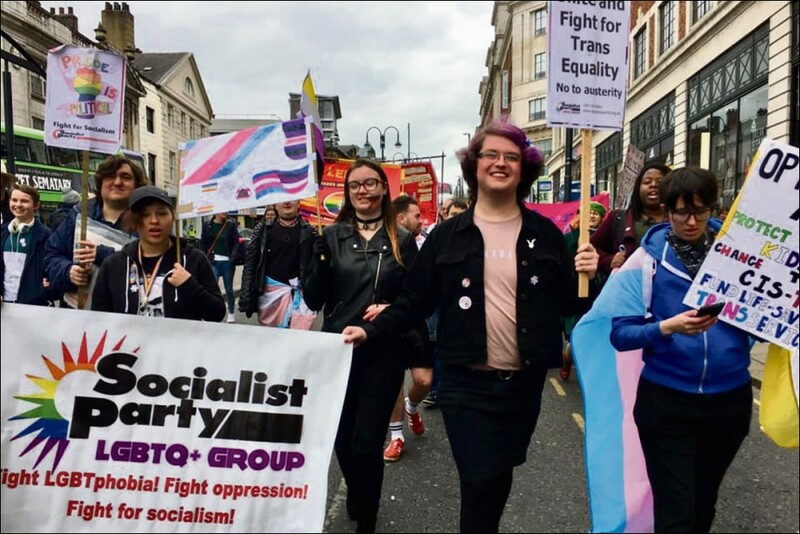 We need to build a mass working-class movement for trans rights, an end to all forms of discrimination, and the socialist transformation of society - to get rid of the capitalist system that oppression and austerity is based on.